When you think the world is being dragged into hell, when the hate seems to be all that there is and when the terror seems to be never ending we have to remember, this too shall pass. There is a time for grief; our cities, our countries, our world needs to mourn their senseless losses, but let that grief not be fuelled by hate. Hold on to the hope of better times and of better lives. If they try to stop you singing, then sing louder. If they try to stop you dancing, then dance longer. If they try to stop you loving, then love harder. If they try to end your way of live, then live it all the more. Never let the hate win, that is the way those who spread the hate will win. Here we are again, at the end of another year. It’s hard to believe we are almost in 2017 – how fast time goes. I remember when I was very young wondering if I would still be alive in the year 2000 because it felt like an unimaginable lifetime away, and now here we are almost 20 years into the century. I don’t know if the world has changed considerably since I was that young thing unable to believe I would see the year 2000, or perhaps I’ve just become more aware of it as I have grown older, but there is no denying that the human race are a strange and complicated species. We seem to be capable of so many extremes – such utter brutality and cruelty to each other, or to other species we share the world with; such incredible compassion and love to those we care for, or towards complete strangers. It’s just sad that as time passes the cruelty seems to be outweighing the love. We live in a world now where acts of terrorism seem to be almost common place and are almost expected to happen. We can only hope that ultimately these people who preach such hate will be beaten – but even that in itself will require more violence and death. What a world we have created for ourselves. This year seems to have been heavy with “celebrity” deaths – I don’t really like the world celebrity because these days it seems to be connected to more and more of the talentless who are only famous for being famous. That’s what makes the loss of so many of our old icons all the worse. Who will our children have to look up to – to wish they could be? Justin Beeber? (I assume that isn’t spelt correctly but don’t care about him enough to look it up!) Or how about the Kardashians?? Are these really the people we want the next generation to dream of being? To believe are worth looking up to? I pity future generations if they never have the likes of Bowie, Lennon, Prince, Victoria Wood etc.. you don’t have to have been a fan of these people to know they made an impact – a real contribution to the world. So, yes, 2016 is almost over and we cannot know what 2017 might bring but we can hope that it will bring us more peace and love, and less of the horror that we seem to be able to accept as normal these days. So, a couple of months ago I started noticing the same hashtag appearing in my twitter timeline. Over and over again – alongside promotions for book and authors I saw this hashtag #RRBC, and before too long I had to find out what it was all about. It seemed to be everywhere… but what or who was it? 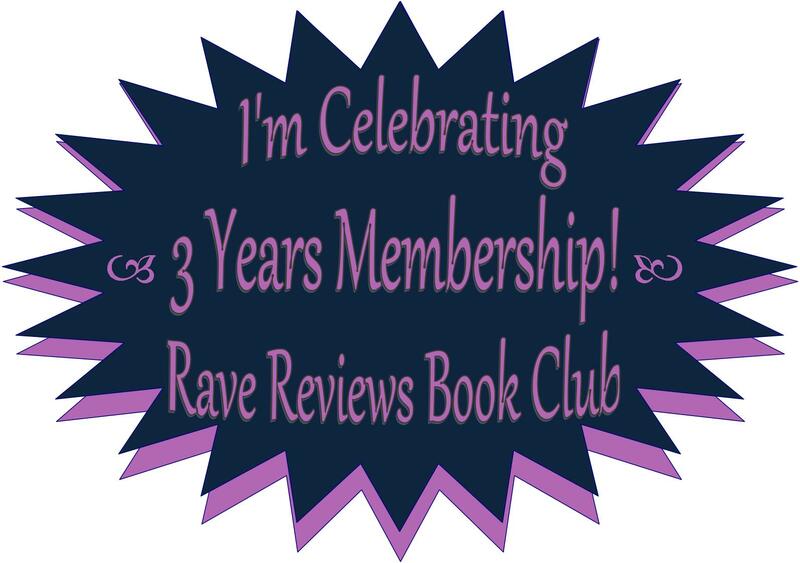 It didn’t take too much effort to discover the origins of RRBC and I quickly landed upon the website of Rave Reviews Book Club. Ah… so it was a book club… cool! But not JUST a book club. Yes the members read books but really that is just scratching the surface of it… This bookclub is (on a very basic level) by authors and for authors – cause as we all know (or painfully learn) writing the book is actually the easy part. Then you have to get people to buy it – but why would they when they’ve never heard of you? This is where RRBC really excels. It gets people names and books out there. No, there is no guarantee of any results – but what you can be sure of is one hell of a lot of support. What’s the catch you may ask. It’s very simple – you get out what you put in. If you want the support from the club then all you have to do is offer your support to the other members… let’s face it – why should anyone promote your work if you’re not willing to do your fair share of promoting back? It took me a week or so of visiting the RRBC website before I decided to take the plunge and sign up and it wasn’t very long before I was seeing my book appearing in my twitter feed with #RRBC alongside it. Now it’s early days and I’m not going to claim I’ve become a best selling author overnight (I wish), but I can certainly see the benefits of membership and who knows – one day I might be awarded one of the coveted spots of Member of the Month, or Book of the Month, or one of the other ways authors get an extra boost from time to time. 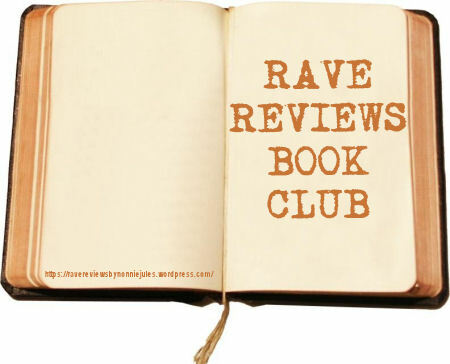 So if this little post has made you wonder if Rave Reviews Book Club is for you – well if you want help promoting your work and you’re prepared to help others do the same then yes it is! If you want to sign up with no intentions of putting some work in to share the work of fellow members then this probably isn’t the place for you – but you’d certainly be missing out! Now… how about going to buy my book… but if mine doesn’t appeal to you why not check out the others listed on RRBC site – and keep an eye out for #RRBC on twitter – it could be telling you about your next favourite author!! It is time for me to once again tell you about a recent read that I have just finished and enjoyed… if you’re fancying trying out a new author (after you’ve read mine of course 😉 ) you could do a lot worse than give this guy a go. Book Blurb: It’s not every farmer who can claim to have been killed by a whale falling from the sky. Fewer still can say they were brought back to life. But David Eno can. Impossible? Not when you’re in purgatory. Of course, no one else calls it that. Not even David’s parents. They believe they’re colonists on an alien planet. But David knows, and that’s why he’s made it his mission to find a way out. It won’t be easy; purgatory is teeming with demons. Fortunately, David has a pair of good-luck charms up his sleeve: a canine companion that’s more grizzly bear than dog, and a rifle that never runs out of bullets. But as he soon discovers, sometimes the worst demons are the ones dwelling in our past, and it’s only after revisiting a childhood tragedy that David can truly begin the difficult task of setting himself free. My thoughts: This is the second of Benedict Martin’s books that I have read, (the other also reviewed on this blog), and they really couldn’t be more different. Thankfully this one was equally as enjoyable as the first. So what’s it all about? Well simply put (not that there is much simple about this tale) the lead character David Eno lives on a strange alien planet with his parents and a creature described as a dog but it is so much more. As if living on an alien world wasn’t weird enough David is convinced that he, and those around him, are not actually on any kind of planet but are, in fact, living in Purgatory! As well as being inhabited by humans the planet, or not-planet as the case may be, is also home to a selection of strange and wonderful creatures. Whales that live under the ground, demons that aren’t actually very demonic, aliens that prove a very real and constant threat and imps that are mischievous to the point of annoyance. When David’s home is faced with a new threat he sets out on a mission to save them all, and possibly himself, as long as the cheeky imp Flea doesn’t get in his way. So, does David save them? Does he find out if he really is living in Purgatory? You know there is one way to find out… read it! This was a well written, fun, and often strange tale that only left me dissatisfied in one respect… I wanted more! I could happily read more stories set in this strange land, especially if they involved the adorably crazy Flea. I have to also mention the occasional illustrations that dotted this story, bringing the strange inhabitants of Planet Purgatory to life that little bit more. A brilliant read by a brilliant author. Hello again my friends, how have we got to September already?? I don’t know where the time goes sometimes – it really does fly by. couple of minutes to leave a quick review really does matter – especially when you’re reading work by an unknown and/or indy author. If you think about it in the most basic terms – you’re looking for a new read – you’ve been drawn in by the title or cover or maybe a recommendation, then what? Chances are you’re going to look at the reviews – if a book has just the one or two people are going to assume they were written by friends or family (if they are good reviews of course), but the more reviews are posted the more of a genuine and rounded picture of the book in question you can get. If one person hates it but another twenty are raving about it then you’re going to feel more inclined to give it a go. So next time you get to the end of a book on your kindle and it does that “before you go” thing where it asks you to leave a review why not do it? It costs nothing but a few seconds of your time but to the author it can mean the world.